Wyoming Breezes: Whooo Was at the Balloon Rally? Nancy, you are the rehab warrior. I kept wondering if you went too as I read the post. Hooray for you. 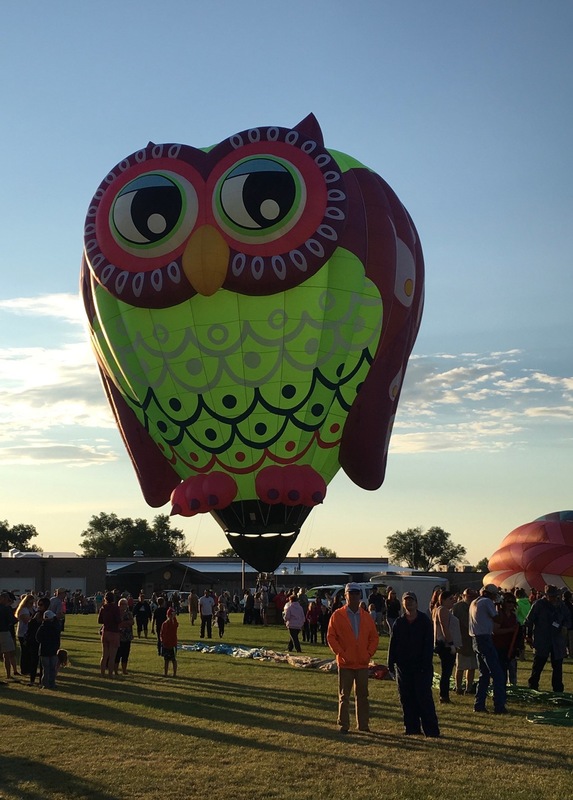 I love the owl balloon. 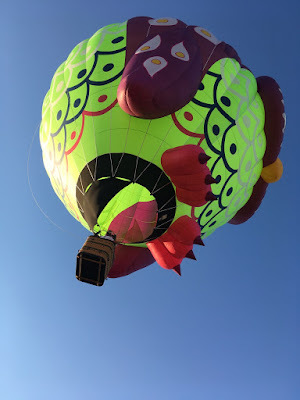 The weather has to be just right, but there is a local balloon company and we see them sometimes above the house here. Good to see you up and about - glad you have the ok to be more mobile! 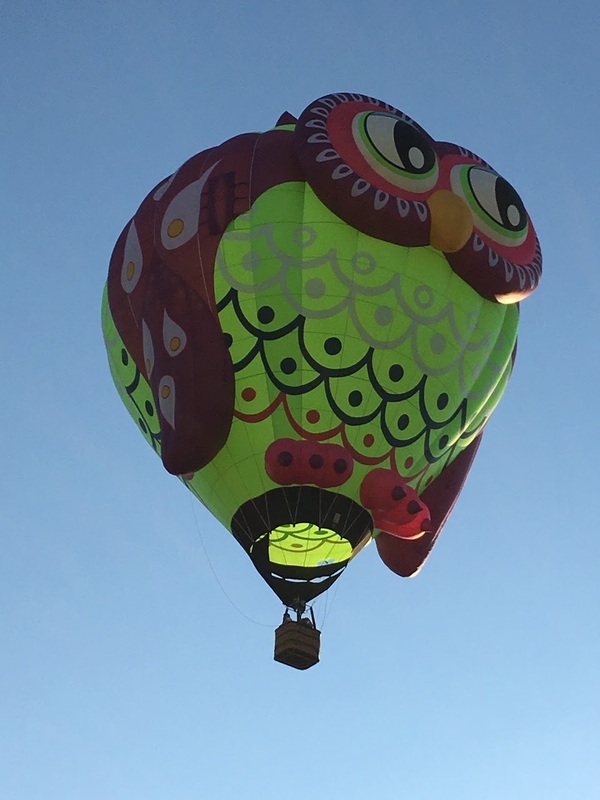 The owl balloon is so cool. I am too chicken to ride in one...I just know I'd be sick the entire time. 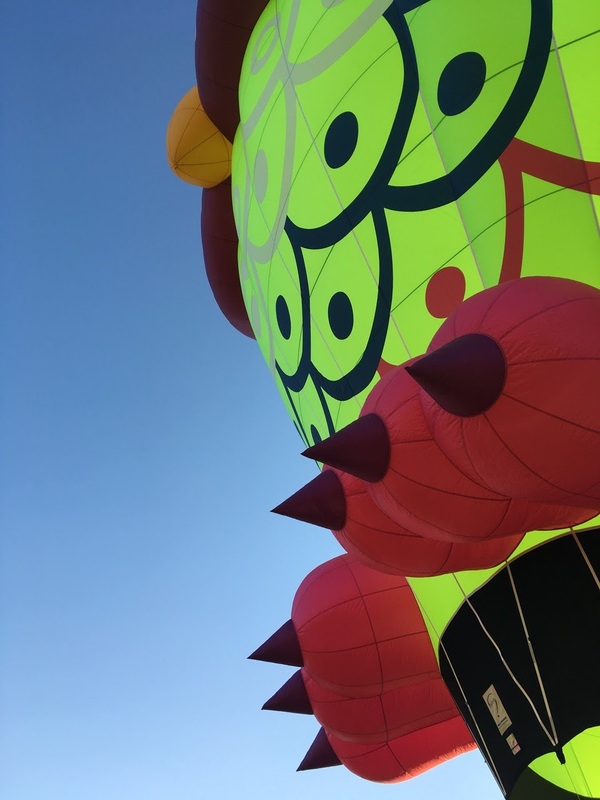 Yahooo for you to make it to see the balloons. Good for you! 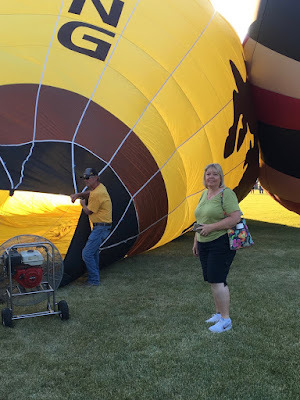 We used to have a balloon museum here in Mitchell and a big balloon rally each summer. But that all ended many years ago. We took the kids when they were in elementary school and it was always such fun to watch them inflate and then take off. 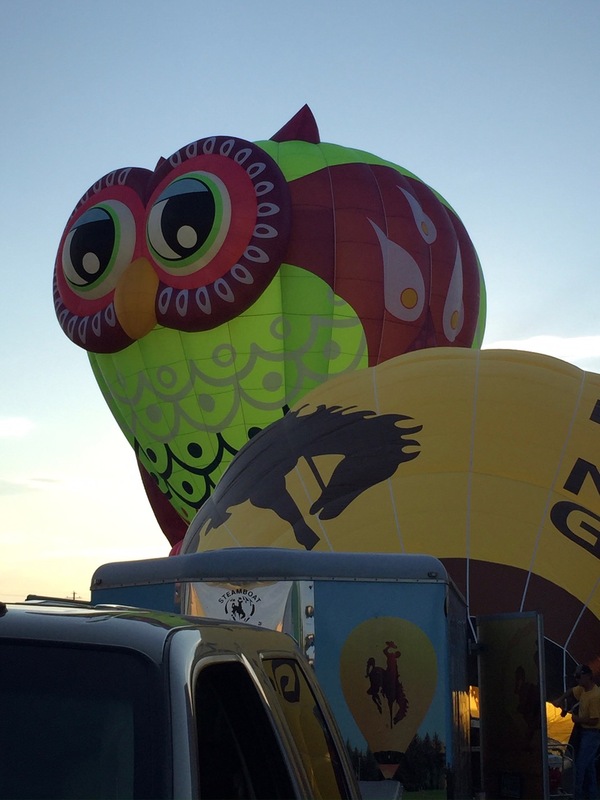 We still see a couple in the area but not any as beautiful as that owl. I'll bet it felt good to be out even if it was a little challenging to your leg. Keeping active is the way to go though....my father in law babied his and he's paying the price now. Love that Owl balloon. It's very cute. How fun! That owlBloom is something else. I'm so happy to see you were able to get out and about. I think that's an important part of recovery. Thank you for sharing with us. You earned this outing and what a great event to visit! The swollen legs were worth it, right?! I would love to go to a hot air ballon rally. Lucky you. Great to see you out and about. Glad you got out and about. But sorry to hear you had the issues. I bet you were so happy to get out of the house! That owl looks so cute. 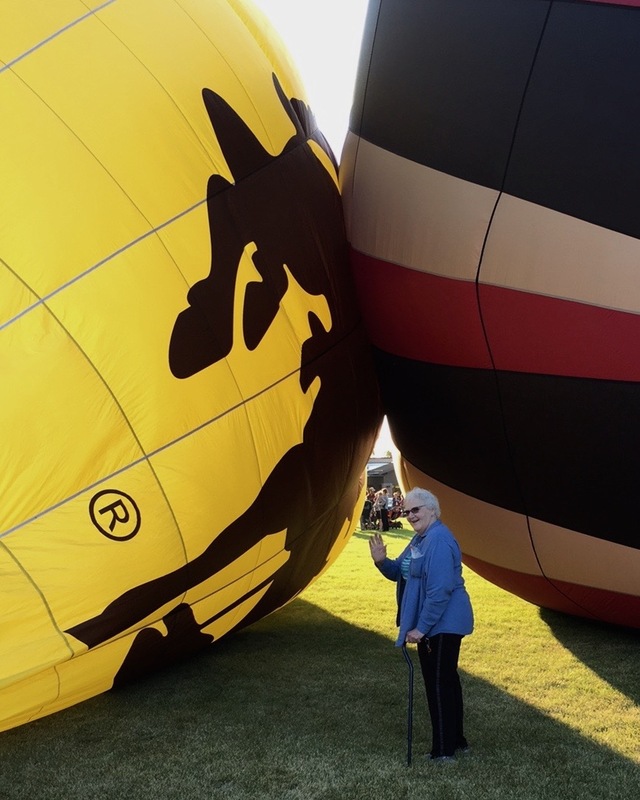 I've never been to a hot air balloon rally. Looks like fun although I bet folks end up with crooks in the neck from looking up a lot! I am glad you got to go! It is good for you to get out!